Give your workout the extra edge it needs with Gold's Gym 20-Pound Weighted Vest. This weighted workout accessory adds resistance to aerobic workouts or sports play. 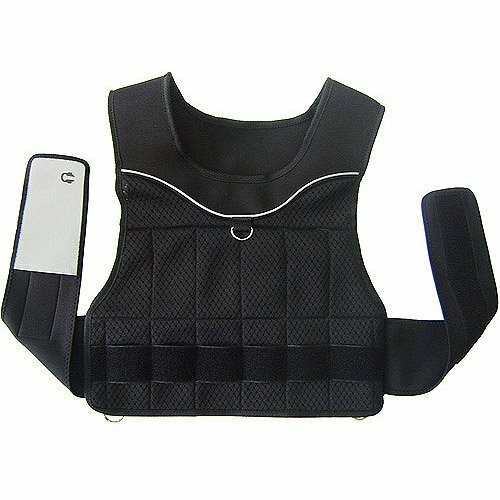 It can be used by both men and women alike, as the vest quickly adjusts from 1 to 20 pounds. The reflective detailing helps keep runners safe while they are out on the road. This adjustable weighted vest comes with a built-in electronics pocket, making it convenient for listening to music while exercising. Breathable mesh makes up this product, allowing you to work out comfortably, even in warmer weather. Enjoy even weight distribution while using the Gold's Gym weighted vest thanks to the carefully designed weight pocket system.